June 2014 - Take a day trip! 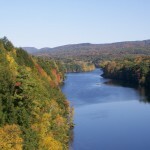 Connecticut River from the French King Bridge. miserable road in the eastern third of the state, however it goes near or by lots of great places and is a completely different highway when you get to it’s western sections. 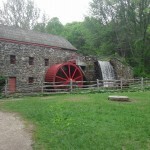 It passes through the historic towns of Lexington and Concord just after it goes by Route 128 heading west and skirts Minuteman National Historic Park. As it keeps going westward it passes by the town of Fitchburg and becomes the Mohawk Trail shortly thereafter. It crosses over the Connecticut River at the lovely and historic French King Bridge As it continues it passes into New York over a lovely mountain pass with switchbacks in the road that equal any in Vermont as it leaves North Adams and ends in Troy, New York after a spring through picturesque farm country in Upstate New York. often a miserable ride in rush hour. Don’t let that keep you from exploring it as it goes through some absolutely lovely sections of the state. 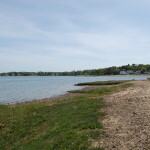 Its eastern sections include trips through the historic and lovely towns of Sudbury, Wayland and Waltham, home of the first watch factory in the United States and a thriving city with an awesome culinary scene. Right off of Route 20 in Sudbury is the historic Wayside Inn, the oldest inn in the United States that is still operating and hosted a visit by General George Washington (though he likely didn’t sleep there). 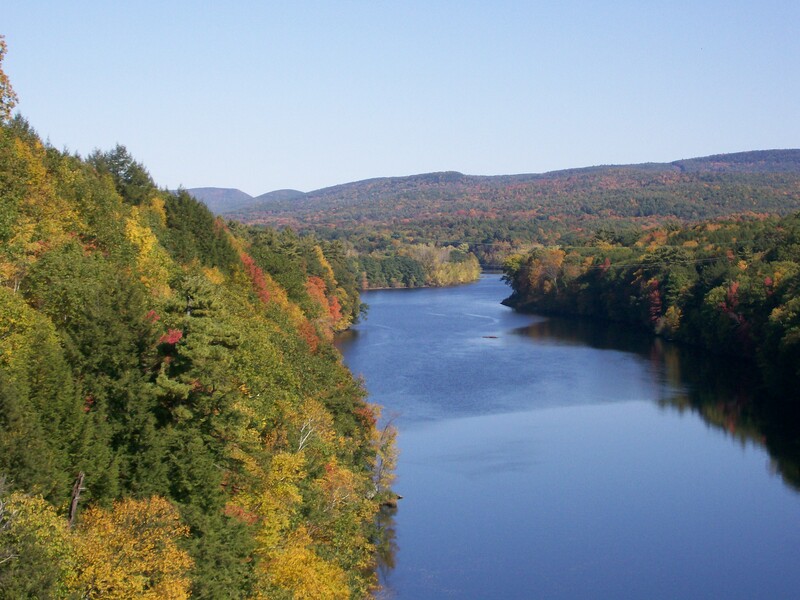 As you go further west it passes through Springfield with it’s many museums and other attractions (including the Basketball Hall of Fame and Springfield Armory National Historic Site) and then onto the lovely Berkshire towns of Lenox and Pittsfield before heading into New York. had west it quiets down and goes through several lovely communities on its way west including Were, Amherst and Northampton before ending in the Berkshires in Pittsfield. 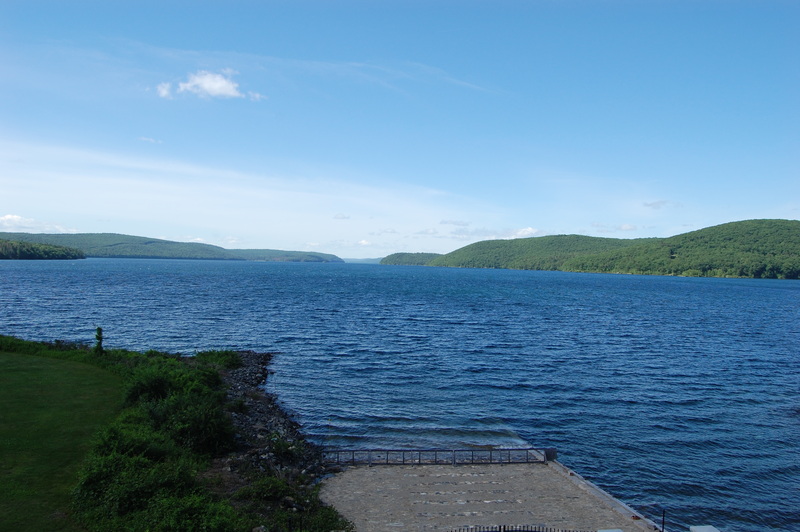 In addition to the towns it passes through it also goes by the historic Quabbin Reservoir (the 412 billion gallon reservoir that supplies water to 2.4 million people in the Boston area and is a former valley that was flooded to make the reservoir) and several more parks in Western Massachusetts. These descriptions don’t do justice to all of the things to do on these roads and the other routes you can take across the state. However, I hope I’ve gotten you thinking about all the great places to see taking the slow road. Enjoy the trip!! Charles River Canoe and Kayak – located in several locations in the Boston area the one Newton is just a few minutes down the road from us. You can rent stand-up paddleboards in addition to canoes and kayaks. This part of the Charles River has plenty of room to maneuver and you get to see lots of places from a unique angle. One example is the I-95/128 and I-90 interchange. It looks completely different on a boat underneath the highway. South Bridge Boat House: This place rents canoes and kayaks in Concord. It’s a great way to enjoy parts of Minuteman National Historic Park, especially the North Bridge in Concord where the second main engagement of the Minuteman against the British Army. 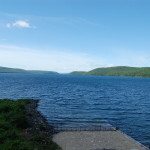 Norton Reservoir Kayaking: I haven’t been here yet but I grew up right down the street from this lovely body of water. There is a great kayak company that I’ve heard about and I want to try. Lyman Reserve: There aren’t any places nearby that rent kayaks that I know of. However, don’t let that stop you. 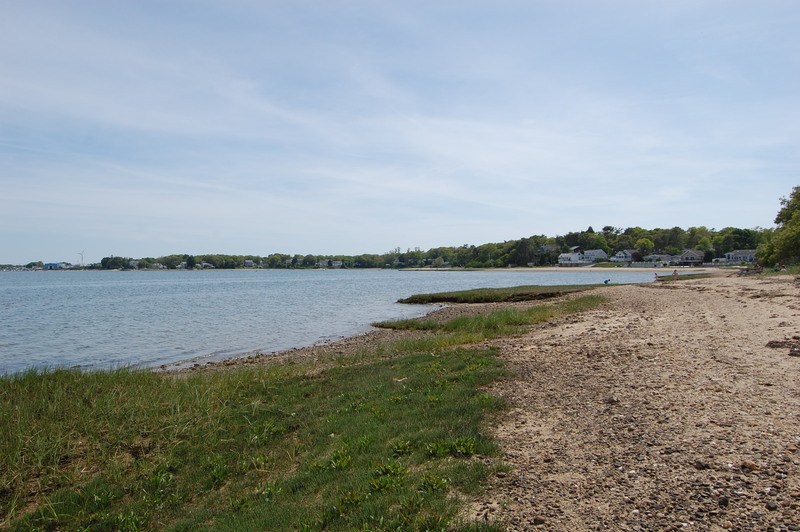 This Trustees of Reservations property fronts onto Buttermilk Bay, a sheltered and calm area connected to Buzzards Bay that is a great place to kayak and enjoy the lovely coastal scenery of Massachusetts. These are just a few of the many, many places you can go out and enjoy using a kayak or canoe in Eastern Massachusetts alone!! There are many more places in the rest of the state and throughout New England. Please let me know a few of your favorites – by commenting below, on my Facebook page or via Twitter (@takeadaytrip)! I’d love to hear from you! !